TROPICAL PARADISE!!! WOW - WHAT A GREAT PRICE!! 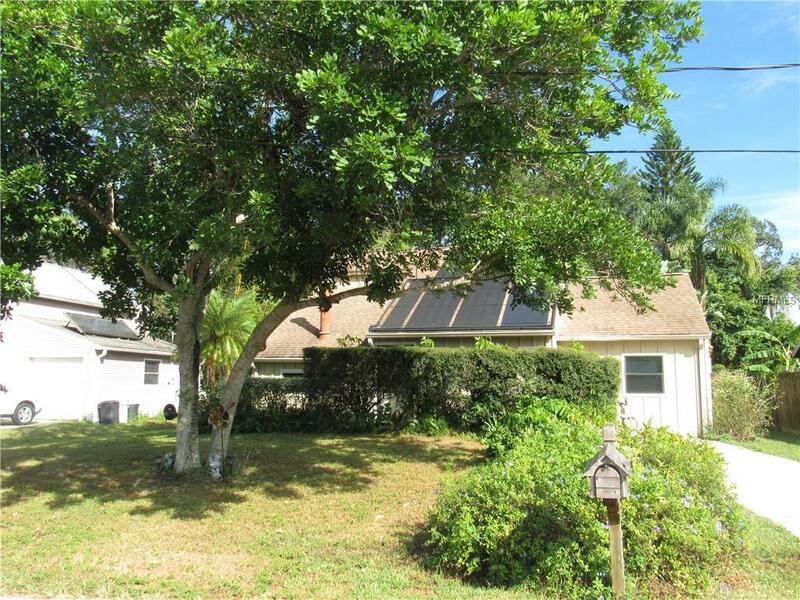 This is a lovely two-story home with a unique over-size lot, loaded with flowering trees & tropical plants. Located on a dead end street, this three bedroom / two bath pool home offers a comfortable interior & fantastic tiled lanai & pool area. If you love the outdoors, swimming, sunning, relaxing by the sparkling solar heated pool you will find your peaceful place here! If gardening is your passion you will certainly appreciate this park- like back yard. Completely fenced with a 12 x 24 custom shed that could be used as a garden/ potting shed, artist space, ceramic studio, yoga space, or just to store your fishing & diving gear. There is a well for watering & maintaining this yard of splendor. There is a wooden deck off of pool area & large concrete pad for a great sitting and BBQ area! UPDATES: 2004 / New roof, 2006 / Plumbing re-piped, 2007 / Shed Install, 2008 / Solar pool heating system, 2018 / New AC system.Kitchen has been updated & has quartz counters, master bath has been updatedI can't say enough, you must come take a look at this fabulous home & property! Additional Lease Restrictions Always Check Local & State Regulations For Lease Agreements & Any Taxes Pertaining To Rentals.